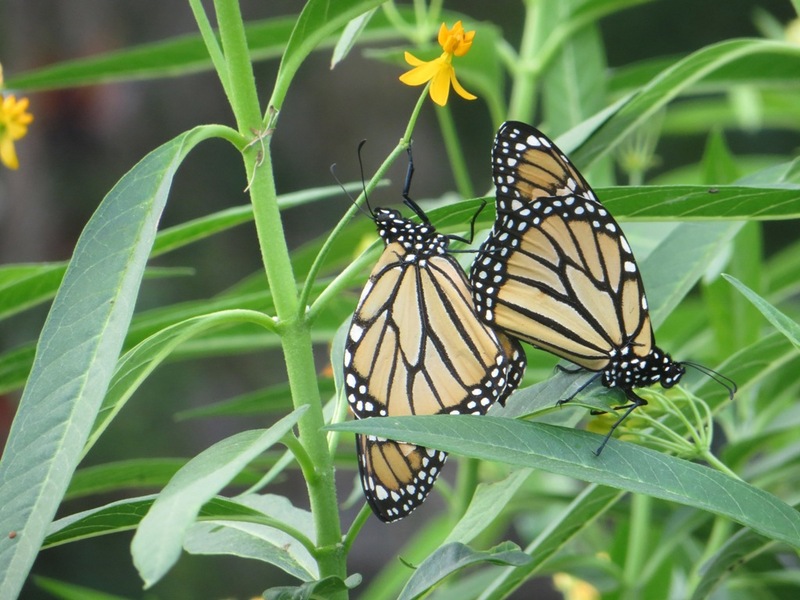 Monarch butterflies enjoying Silky Gold Milkweed in early October. 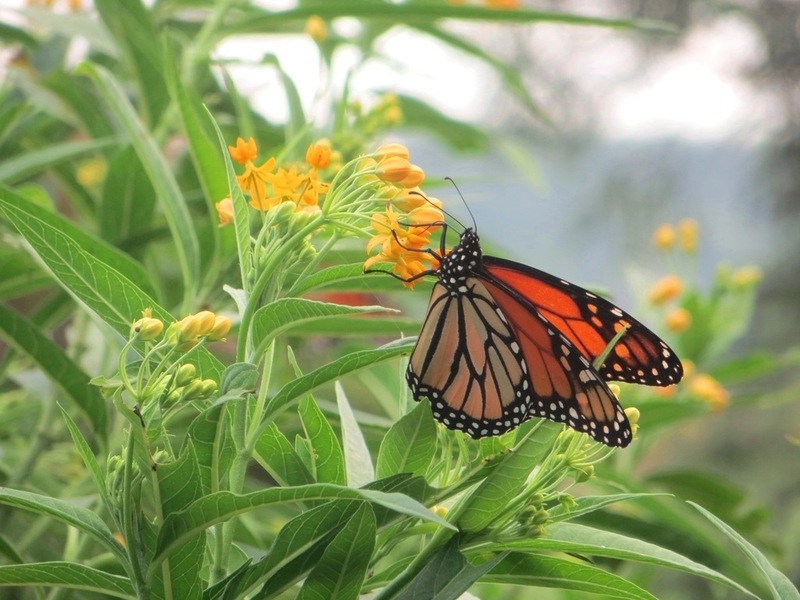 The bright flowers of the orange butterfly weed attracts a variety of insects during their blooming season. Here are a few that stopped in to enjoy the pollen and nectar. A Monarch butterfly attracted to the bright red and yellow blossoms of the Scarlet milkweed — a popular flower in butterfly gardens.